Do you like Dogfight 2? Share it with your friends. 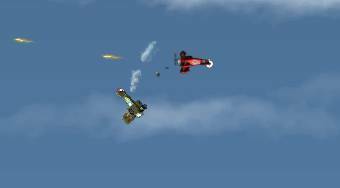 The game "Dogfight 2" will enable you to participate in many fights that took place during the first world. You will be fighting many air fights with a supreme number of airplanes, which will want to mercilessly shoot you down to the ground. The only effective defense is attack, so do not hesitate a moment and start figting.